We have paired out Mk3 Micro Kit with the Red Wire Gear Mk82 pouch to make a easy to access and extremely low profile kit. This kit allows you to treat injuries related to serious bleeding: punctures lacerations, scrapes, abrasions and with proper use, GSW (gunshot wounds). The contents themselves are individually packed and sterile with instructions on the packaging. 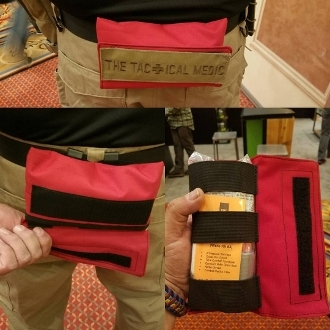 All medical items are based off of battle proven items currently in use by the US Military. This compact pouch/kit combo can be further customized to suite you particular needs. We also sell the pouch empty so you can build a completely custom kit if desired.